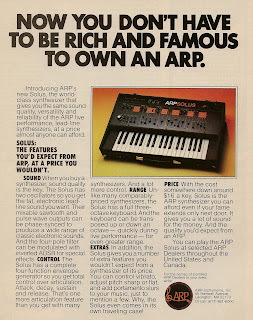 APR Solus from page 53 of Contemporary Keyboard October 1980. 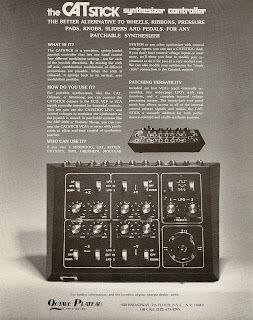 Octave-Plateau CatStick synthesizer controller from the inside back cover of Polyphony January / February 1981. 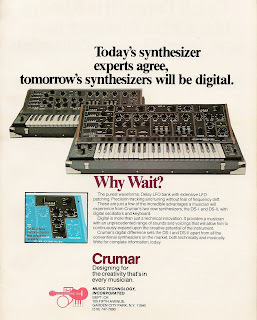 Cumar DS-I and DS-II from inside back cover of Contemporary Keyboard magazine June 1978. 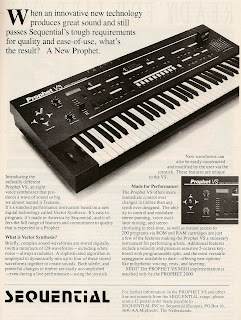 Sequential Circuits Prophet VS from page 17 of Electronics & Music Maker magazine April 1986. 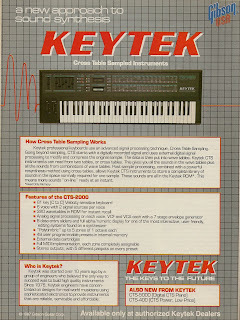 Keytek CTS-2000 cross table synth from page 54 of Music Technology magazine NOvember 1987. 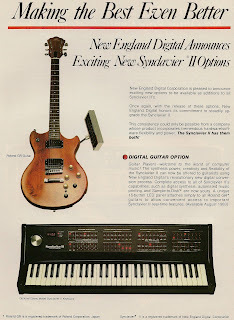 New England Digital Synclavier II from page 8 of Keyboard magazine October 1983. 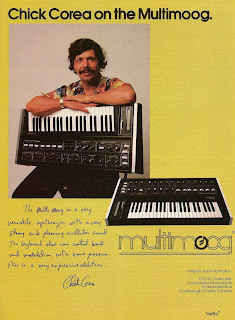 Moog (Nolin) Multimoog from page 39 of Contemporary Keyboard magazine April 1979. 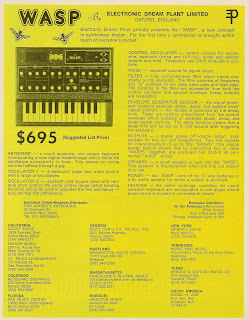 Electronic Dream Plant Limited Wasp from page 26 of contemporary Keyboard April 1979.